Barracks being moved from camp site to homestead property, ca. 1947. Heart Mountain camp under construction, 1942. Complete barracks building found outside of Cody, Wyoming, 2015. Only months after the bombing of Pearl Harbor, 463 barracks were built in a remote area in Wyoming to house more than 11,000 Americans of Japanese ancestry considered to be the enemy. After the war, these same buildings were used as shelter for homesteaders who bought these buildings for a dollar apiece. MOVING WALLS brings together two tales of struggle and resilience: the confinement of a people based simply on race and the settling of the American West by modern pioneers who chose to build new lives on the frontier. 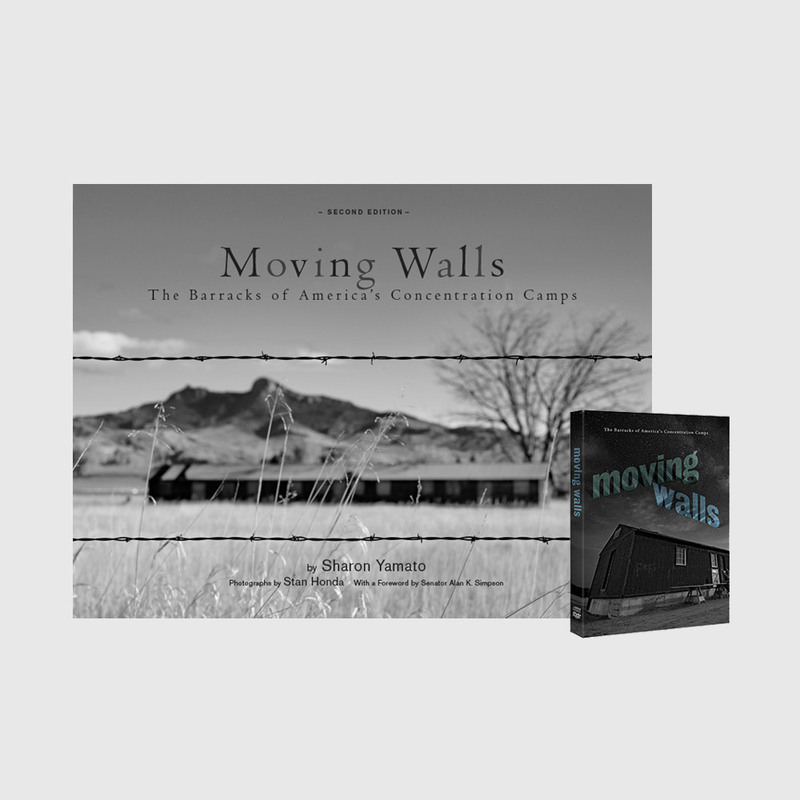 A new book and documentary chronicling what became of the barracks built to house 11,000 Japanese Americans at the Heart Mountain concentration camp, one of 10 camps built to incarcerate more than 120,000 Americans of Japanese ancestry, two-thirds of them American citizens, during World War II. This eloquent reminder of a dark, dark time in American history—the incarceration of innocent Japanese Americans during WWII—has a welcome and unexpected ending. So many of the incarceration buildings have a new life as homes, sheds, and workshops to become part of the postwar American dream. It is a tribute to the power of lessons learned. I was 10 years old when my family was forcibly removed from our home in California, and ended up at this windy, dusty, and barren place called Heart Mountain. Having returned to Heart Mountain many times, I have seen how some of the barracks have become livable homes and other structures, and their transformation is fascinatingly documented here. The barracks will always serve as a reminder of a time when our precious Constitutional rights were denied. We must be vigilant in our efforts to ensure freedom and liberty for all, regardless of race, religion or national origin. This book tells the heartfelt story of the all-too-relevant tragedy when American citizens were imprisoned behind barbed wire without charge or trial based solely on their ancestry. As one of those prisoners, I remember well the makeshift barrack I shared with my family with dust flying through the gaping cracks in the walls. When I visited Heart Mountain, the camp that was the setting for our Broadway musical, Allegiance, I was surprised to see how many of the ramshackle barracks remained in this remote area of Wyoming. With stunning photographs, Moving Walls provides an up-to-date telling of the mass incarceration through the diverse eyes of Americans—then and now—who have been forever changed by it. © Moving Walls. All rights reserved.